I’ve never been attached to stuff. Sometimes this has made me feel like a bad mother. I don’t have one single trophy from my competitive triathlon and bike racing days…nor one single t-shirt. I have only a few items from my kids’ childhoods and even fewer from my own. Holidays and birthdays can slip by with nary a mention. I’ve often wondered how I got this way. I was the fourth child of four…ten years behind the next. By the time I came along my brother and sisters had already blazed the trail…all the firsts had been claimed and so birthdays, holidays and such…were often celebrated in a kind of obligatory-passing-sort-of-way. My parents got divorced when I was fifteen. My dad got remarried and my mom and I tended to hang out…just the two of us…a lot. Anyone who knew my mom can understand why. She was one of the most amazing humans ever. 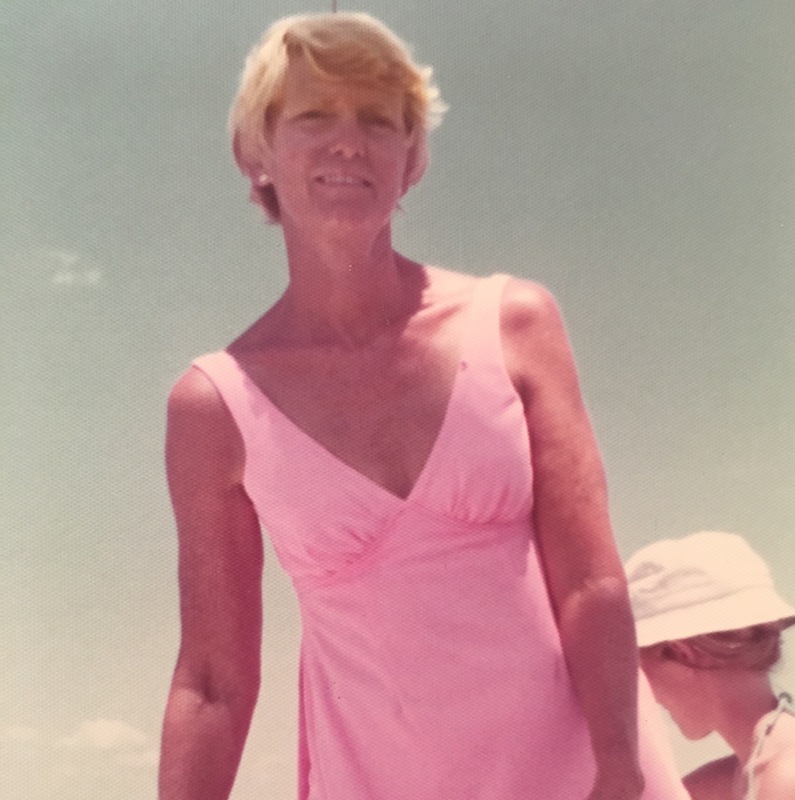 She got sober in 1970 (I was ten years old), turned her life completely around and became one of the most loved and revered women in Charlotte…particularly in the recovery community. The reason I bring it up this morning…is…Helen and I are moving again. A couple of years ago we sold our little house, unloaded most of our stuff and moved into a small rental. A duplex actually. We’re doing it again…this time to a small little house, tucked gently into a racially and economically diverse neighborhood…one that better suits where we are in our lives. This morning I’ve been pouring through the “things” I’ve accumulated since our last move only 2 years ago and it’s thrilling to realize that what I moved with then…is pretty much all I have now. I did, however, unearth a box of pictures that I had somehow kept hidden in the previous move. The photograph album, tucked there beneath, some old papers and GOTR items. I’ve been looking through those photographs for a good solid hour now…pausing to reflect on each of them. They are all posed…arms on shoulders, pretty smiles, pretty people, pretty things, tables set, landscapes with full moons and ocean waves lapping the shores of the beach in front of my uncle’s beach house. My brother with his kids, being silly, my dad with his new wife by the most beautiful Christmas tree and the ones of me and my mom visiting my sister in California. There is one photo, though, that keeps coming to mind. The one that wasn’t taken. The one I fondly recall now when my mom, brand-new-divorced and I went to Wendy’s for our Christmas Eve dinner. We had hamburgers, fries and cokes. She cried. And I told her it was okay…that this was what I loved about her. The quirky way she just unabashedly was who she was…she lived where she was. She didn’t pretend to be anybody other than who she was and how going to Wendy’s for our Christmas Eve dinner was completely perfect and imperfect and beautiful. We laughed after she was all done crying…and each promised to never forget our Christmas dinner at Wendy’s. I like to think about what Hank and Helen will write about us…when we are older. As I just commented on your 9/11 Tribute, I’ll say again because it’s true: You (bridging the Seen and Unseen) are a hit of rocket fuel in the cold of deep space. Thanks! Thanks for your kind comments. AND I must say…I love your choice of words. L. Michael McNab? Tell me about you.